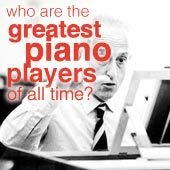 It's a suite of six baroque-inspired dances for piano, each dedicated to a fallen soldier friend of Ravel. The composer also wrote orchestral versions of four the dances. I find the orchestral versions hauntingly beautiful, and their poignancy intensifies when I think about the dead soldiers Ravel knew. Ravel at first planned to write a suite of French dances for piano, as an homage to 18th French composers (especially Francois Couperin). But the First World War broke out in 1914, and people he knew started dying in the struggle. So Ravel added dedications to his dead friends. The suite now had a dual purpose. Ravel was eager to join the fighting when the war started. But he was 39 years old, and frail, so he had to volunteer as an ambulance driver instead of becoming a pilot like he wanted to. He and his truck, named Adelaide, had lots of dangerous adventures. Under frequent heavy fire, he suffered from exhaustion and insomnia. Eventually his health broke down. So he went to stay at the family house of a woman he had been writing to about his war experiences (the stepmother of Jean Dreyfuss, the dedicatee of the fifth dance). He finished Le Tombeau de Couperin in this tranquil rural setting. A huge change from the adrenaline and explosions of the front lines! The suite premiered in 1919 after the end of the war. 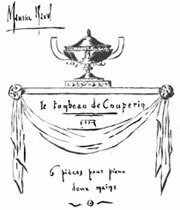 The literal translation of Le tombeau de Couperin is "Couperin's grave". But in musical tradition, a tombeau is a memorial piece or collection of pieces. 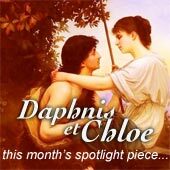 Francois Couperin was an important French composer from the 18th century, who wrote graceful harpsichord dances. Apparently Ravel chose him as an artistic representation of France. Because of this, and the horrors Ravel saw tending the wounded on the front, I think that the title of the piece could also be a homage to the threatened French nation. First to traditional 18th French music, then Ravel's fallen friends, and finally wartorn France. The names of the movements in Le tombeau de Couperin are all types of French Baroque dances. Ravel wrote them in his own unique style though, using lush impressionist harmonies. Ravel also arranged four of the movements for orchestra (Prelude, Forlane, Menuet, and Rigaudon). The orchestral versions are scored for a fairly light orchestra (no trombones or timpanis), so they sound very graceful. Prélude - dedicated to Jacques Charlot, who had transcribed some of Ravel's music for solo piano at the composer's publishers. Fugue - dedicated to Jean Cruppi, whose Mother had helped Ravel get his comic opera L'heure Espagnole performed. 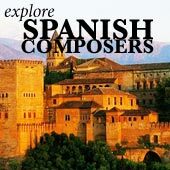 Forlane - dedicated to Gabriel Deluc, a Basque painter whom Ravel met in a small town in the Pyrenees. Rigaudon - dedicated to Pierre and Pascal Gaudin, two brothers whose family was friends with Ravel's family. The brothers were killed by the same shell on their first day at the front. 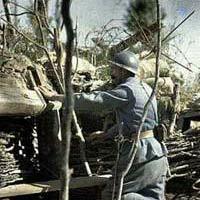 Menuet - dedicated to Jean Dreyfus, the stepson of a woman to whom Ravel wrote about his war experiences while on the front. Ravel recovered at the Dreyfuss family home after his mother died and he was relieved from the army because of his weak health. Toccata - dedicated to Joseph de Marliave, who died at the very start of the war. He was a musicologist and the husband of Ravel's favorite pianist Marguerite Long (who premiered Le Tombeau de Couperin). Because of these intimate connections, I think that the suite is one of Ravel's most personal and moving works. There aren't really that many recordings of the suite for solo piano (surprisingly). My favorite is by Jean-Yves Thibaudet. There's also a piano roll recording by Ravel where he plays his own Toccata, although the quality of the recording isn't too good. For the orchestral version of Tombeau, I recommend the recording by Charles Dutoit conducting the Montreal Symphony Orchestra. Published by Decca, the recordings have a beautiful nostalgic glow about them, rounded off with fine detail and brilliant rhythmic energy. 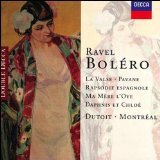 You may also be interested in Ravel's Pavane for a Dead Princess, or the charming Mother Goose Suite.